Acceptance into the Connecticut River Academy and Riverside Magnet School is determined through a random lottery process conducted by the State of Connecticut Regional School Choice Office (RSCO). RSCO was created by the Connecticut Department of Education to assist families interested in learning about, and applying to, public school choice options in the Greater Hartford region. Any student entering grades pre-K through grade 12 and who resides in Connecticut at the time of application is eligible to apply for the lottery. Preschoolers, however, must be three years of age by December 31 of the school year for which you are applying. RSCO programming includes over 45 magnet schools and 29 participating Open Choice districts. However, applications outnumber seats available. In order to make it fair and equitable for all interested families, a lottery system was created to allow for that to happen. It’s very important when considering your choices to get all the facts regarding the likelihood of being awarded an offer at any particular school of choice. With the increasing number of educational choices in the State of Connecticut, taking the time to make an informed decision will be worth it in the long run. We encourage parents to ask the right questions and inquire about the likelihood of being awarded an offer at a particular school of choice. At the Connecticut River Academy (grades 9 through 12) we typically have 130-140 seats available each lottery season. Most seats available are in our incoming grade 9 class. Riverside Magnet School (pre-K through grade 5) typically has 35-50 seats available. Again, primary seats are available at the entry grade levels (pre-K and kindergarten). At both Goodwin Magnet Schools, we generally do not get through our first choice applicants. 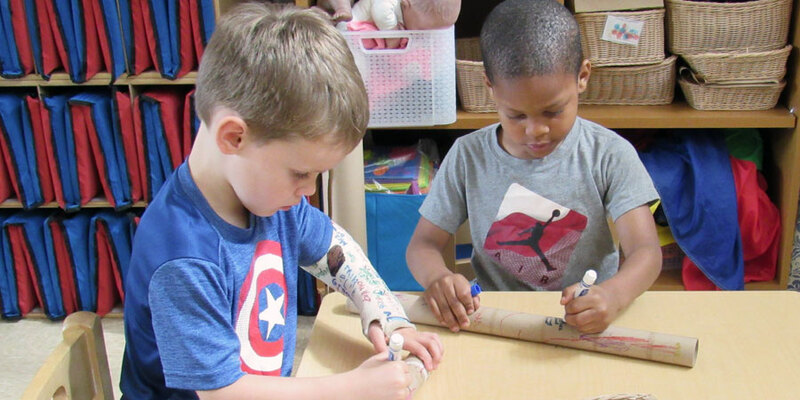 We understand that finding that perfect fit for your child is important, so we offer multiple ways to learn about Goodwin College Magnet Schools. Families can visit a RSCO fair, come to an open house, attend a parent information session, take a personal tour, or even shadow one of our current scholars — see our schedule of events for details. Parents must submit a new application each year, for each child, if you wish to be considered for the lottery. You will need to register online for the lottery through the RSCO website. A computer-based method sorts and places students who submit an application into the RSCO lottery. The application period for the 2019-2020 school year has closed. Once the application period has come to a close, the State will run an initial lottery round typically in early spring. RSCO will contact you directly when the initial round of the lottery is conducted. Applicants will either be offered a school placement or placed on the wait list. Once a placement is offered, your student will be removed from all other magnet school and Open Choice waitlists. Additional lottery rounds are conducted until all seats have been filled. Applicants will be given a deadline on which to respond to their seat offer. You must go online to accept or decline your seat offer and/or your wait list opportunity by the date specified or your seat will be forfeited. Once you have accepted your seat at our school, we will set up a time for you to come in and register your student. A registration packet will need to be completed along with additional documentation, school records, residency verification, etc. You will be provided an opportunity to visit the school and make the necessary arrangements so as to make transition into our school as smooth as possible. If your student is not selected for placement through the RSCO lottery, then she/he will be placed on a wait list for each school or program choice. In order to confirm your student’s wait list position, you must respond online to RSCO by the specified deadline. It is important to confirm your student's waitlist position. By doing so, you preserve the opportunity to have your student placed in a school or program that you selected, if a seat becomes available and your student is next on the waitlist. Students should register and attend their district school until they receive a placement letter/offer. In some cases, students may be placed in a RSCO magnet school or Open Choice after the school year begins. Wait list information also guides RSCO's future planning and program expansion to increase school choice opportunities. Please visit choiceeducation.org for more information regarding RSCO and the lottery system.